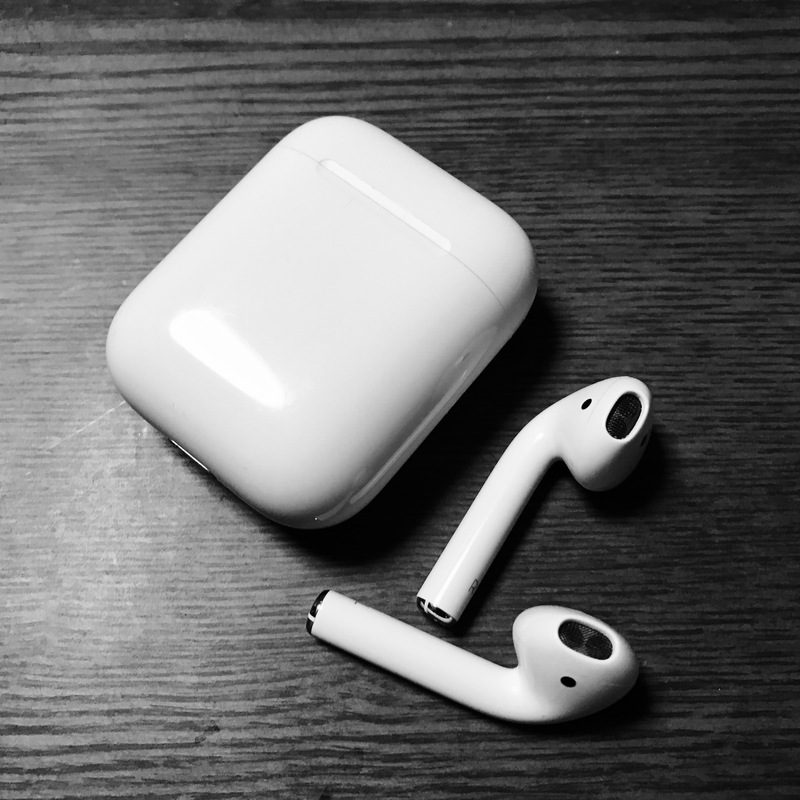 Unlike the Apple Watch, where you can choose the bands and the size of the watch to suit your arm, the AirPods will either fit in your ear or not. Fortunately, I am one of the not so few lucky ones to have an ear that Apple deems worthy to wear this device. If it fits, it stays in. I’ve used the device on a variety of activities, running, cycling and snowboarding to name a few and neither the activity nor the wind was enough to knock out these in-ear phones out of my ears. They just would not pop out. Shown when both AirPods are inside the charging case. They are extremely comfortable to wear, which has its pros and cons. The obvious pro is that it really is comfortable to wear, and you can just leave them on for as long as you’d like. My ears do not hurt at all. However, since they are so comfortable to wear, it is easy to forget that they are even there. And this could pose problems in real world scenarios as I have experienced a number of times. For example, I ride my bicycle to work everyday. Since it is illegal in Japan to wear headphones on both ears while riding the bike, I use just an ear, usually the left one, to listen to music. While on my way to work one morning, I passed by a non-concrete road that is under construction. The bumpy ride made my ears itch and I tried to relieve myself, forgetting the fact that the the AirPod is in my left ear, and it popped out. It luckily fell into the soft-soil ground, leaving my left AirPod unscathed. I have been using the AirPods for almost a month and half now, and I have not yet encountered a time where I can’t listen to my music because I ran out of batteries. I listen to music during my commute, which takes at most two hours, round trip. I also listen to music during my lunch break, another hour. I used it to make calls when making reservations to hotels and bus companies for our snowboarding trip, compounded probably another hour. I use it for two more hours for my evening jog. Every time I take the AirPods out of my ear, I put them back in their case. And I assume most people who own them will do so as well because the AirPods are tiny devices and it is not hard to misplace them. It’s just the logical thing to do. Once the AirPods are back in their case, they charge up. By the time you need them again, they’re probably at a 100% capacity. I charge the case every 3 to 4 days, or when I feel like it. Shown when either AirPod is being used. I mostly use the AirPods to listen to music either while on my commute, or when I am idle. And for that purpose they are great. However since the AirPods do NOT have noise cancelling while listening to music, I often find myself at a conundrum. Raising the volume will allow me to hear my music better, but at the same time it will be rude to the people around me, since they will hear the sound leaking out of my earphones. It does however have noise cancelling for when you are in a call, and it works wonders. Not even a windy weather can dampen your conversation. The “Tap twice to summon Siri” feature needs getting used to. 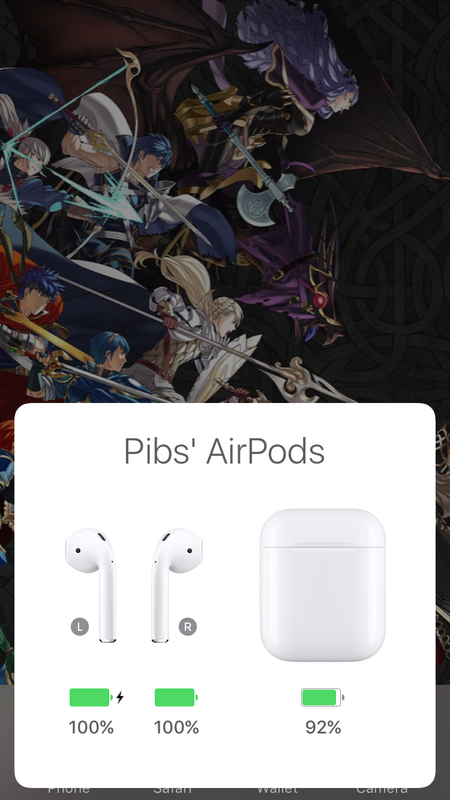 In my opinion, since the AirPods lack physical buttons, this is more of a work around fix for that issue, instead of an actual solution. There is however a solution, and it comes in the form of the Apple Watch. The watch allows you to change the playback volume and music being played. It adds additional Yen to the solution but it fits with Apple’s wireless vision, I feel. I would’ve wanted the AirPods and the case to be in other colors as well, specifically black. 3) The charging case is also being charged. Most people might be fine with this, but I want to know. I know it is coming, but at the time of writing this is still an unavailable feature, so I am including it anyway. I want a Find My AirPods feature. Like I said, it is a tiny device and it will be hard to find them in the outdoors, if for whatever reason, they pop out of my ears. Also, I want both microphones on both phones to function at the same time. It is useful for calling Person 2, and I want Person 1, who is beside me at that time to join in on the conversation. So the setup goes: I have AirPod-R, Person 1 has AirPod-L, and we talk to Person 2 on the other end of the phone call. Shown when both AirPods are being used. Although not for everybody, Apple’s AirPods is a great product. The sound is great, the call quality is excellent, and the battery lasts more than enough for my intended use cases. They are extremely comfortable to wear, and they do not pop-out on their own during extreme activities. Although it took some time before it arrived at my doorstep, I am pleased at my decision to once again try an Apple product on its first iteration.